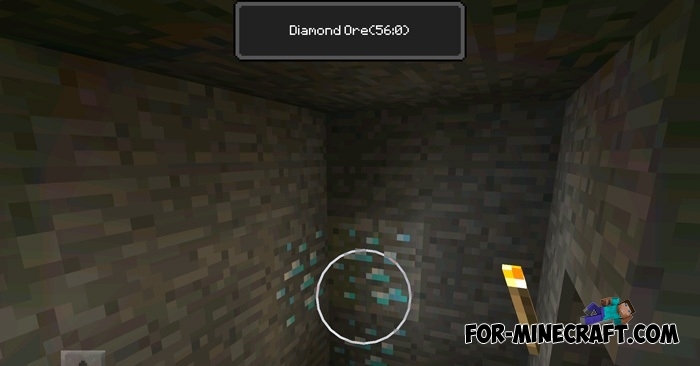 Block Indicators Mod is a very simple mod but it really is essential for architects and builders in the world of Minecraft PE. You will be able to instantly identify the necessary for you ID of block using a pleasant and fast GUI. It's simple as much as possible. You need to do a long tap on the chosen block / item to get the necessary information. All available information is displayed in the center of the screen. Well, it is very simple but it saves a lot of time when switching between the game and Wikipedia. So, if you don't want to remember the IDs then the Block Indicators mod easily and quickly do it for you.